Morgan James Publishing, 9781683507222, 232pp. It's unfortunate that money is one of the most taboo topics in American society. Shying away from open discussions about money, budgets, markets, and trade has resulted in many misconceptions. 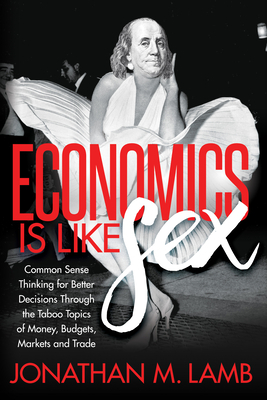 Economics is all around us, and with a little common sense understanding of economic principals, Jonathan M. Lamb changes the way people view the world. Economics is not just for government and business, but is a way of everyday life, and some very simple economic thinking can make life just a little bit less complicated when it comes to money.